Discover the Berner Oberland led by local IFMGA-certified Albrecht. We can choose to explore the area around Interlaken, Kandertal, Adelboden and the Simmental, all the way up to Gstaad. 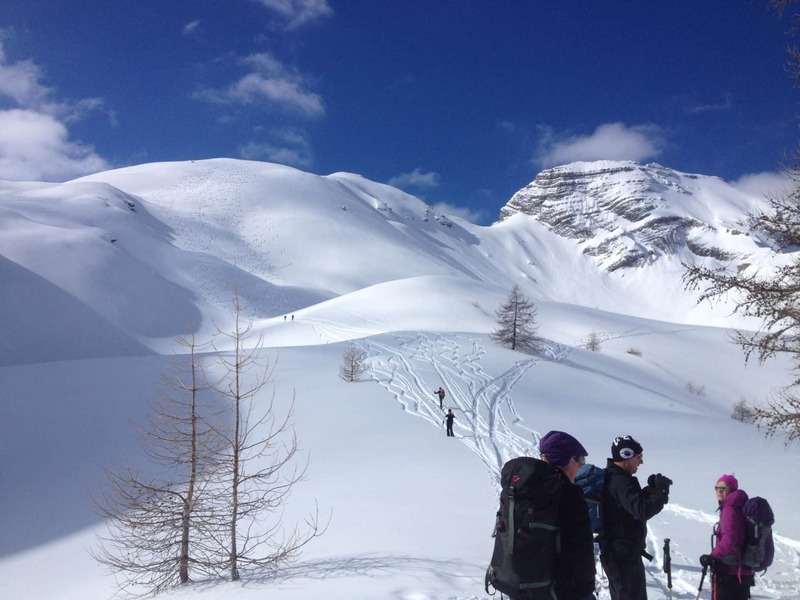 Come discover everything the Berner Oberland in Switzerland has to offer to backcountry skiers! 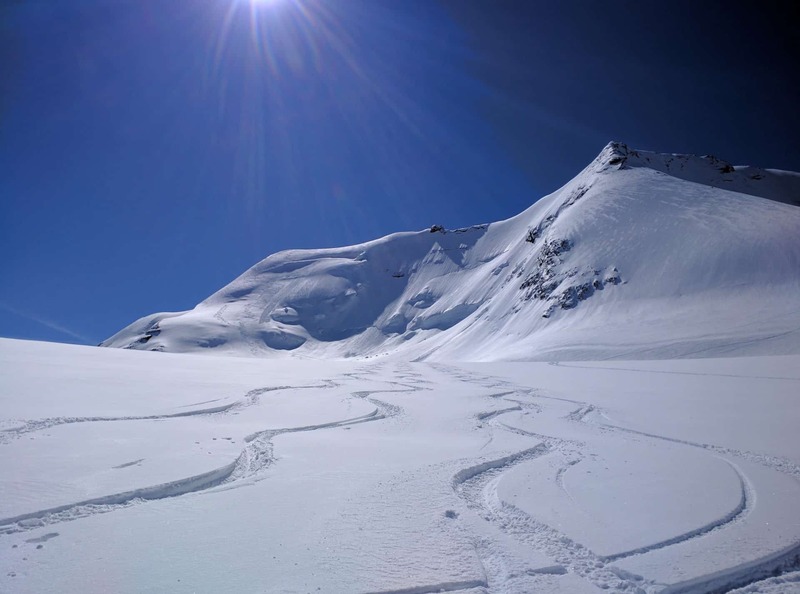 Depending on your wishes, level and conditions, we’ll go ski touring around places like Interlaken, Kandertal, Adelboden and the Simmental, all the way up to Gstaad. 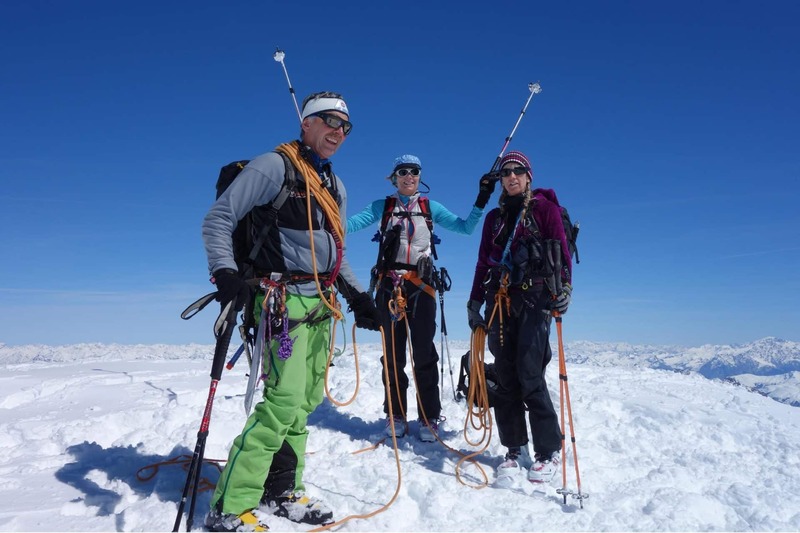 I’m a local IFMGA-certified guide and have been working as a guide for 30 years. With this experience, I can take you to the best spots in the Berner Oberland. But also to many other places including the Eastern Alps or up to Norway! You can hire me for just one day or several days. 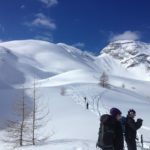 If you have several days available we can even do a hut-to-hut ski tour. We’ll make stops at Konkordia hut (2850m), Finsteraarhorn hut (3048m) and also Hollandia hut (3240m), among others. Going for a 1 or 2-day ski tour can be a perfect combination with your traditional winter holidays in one of the nearby resorts (Grindelwald, Adelboden, Schilthorn, Kandersteg, Jaunpass, Lenk…). Escape the crowds and experience the wilderness of the Bernese Highlands together with a local IFMGA mountain guide. I love sharing my passion for the mountains with my clients and it will be my pleasure to be your guide around this beautiful area. I can guarantee you’ll enjoy the breathtaking views of this stunning Swiss canton! So contact me and we’ll start planning for an amazing few days together in the Berner Oberland. Believe me, you won’t regret it! 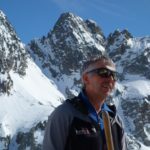 And if you’d like to check out one of my favorite ski tours in the Alps, take a look at my 6-day ski program in Valle Stura, Piemont. You’ll enjoy some high level Italian pampering, including great food and wine! I grew up in the mountains and have always loved being up there. I always knew I wanted to become a mountain guide and make a living out of this life-long passion. 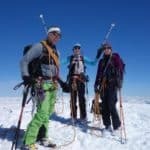 I've bee a certified mountain guide since 1989 and love showing my friends and clients what I think is the best in life. I'm based in Frutigen, in the Bernese Oberland. 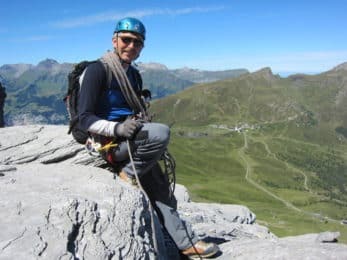 During the summer, I mainly guide rock climbing here, in other parts of Switzerland (Wallis, Grisons...) and in some amazing spots, including southern France. 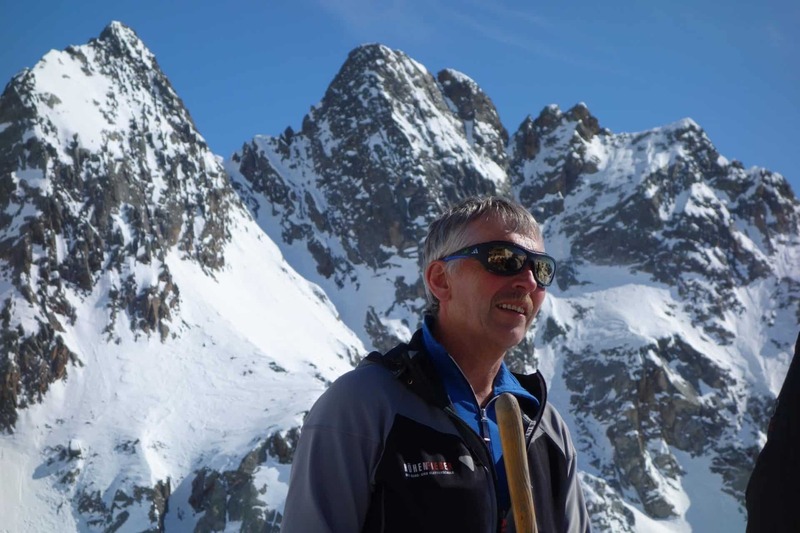 During the winter and spring, I spend most of my time on my skis, in the Swiss Alps but also in Piemont, Austria, Arlberg...where I love to take my clients. 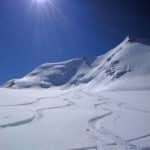 Ski Touring - 8 days - Interm.